Sensory Feedback E-Skin #WearableWednesday « Adafruit Industries – Makers, hackers, artists, designers and engineers! Scientists believe that a newly developed electronic skin that is able to mimic the function and properties of human skin could help to create prosthetics capable of providing sensory feedback. Developed by University of Colorado Boulder scientists, the so-called e-skin is a thin, semi-transparent material that is able to repair itself. As it is malleable, the material is able to easily wrap around complex, curved surfaces, and – just like human skin – it can sense pressure and differs in temperature. The scientists behind the material believe that its unique properties make it suitable for a broad range of applications in robotics, prosthetics and health care. 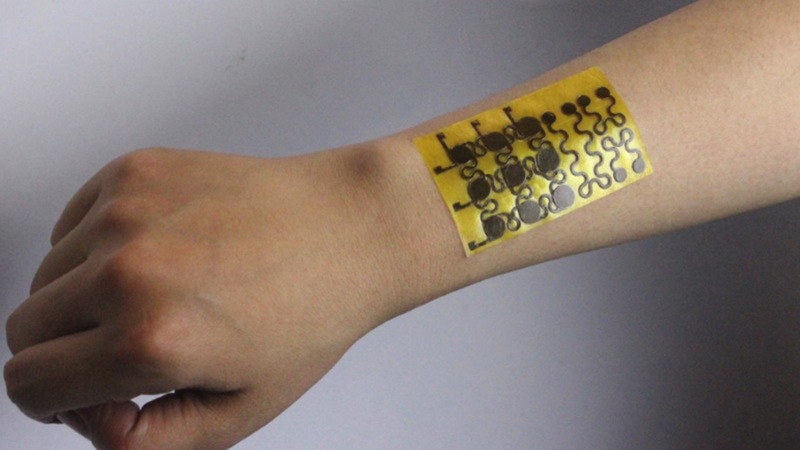 “The e-skin is robust yet flexible and malleable and thus can find applications in robotics, prosthetics, and biomedical devices,” said the team in its study, which was published in trade journal Science Advances earlier this week. The team also envisage it being used to enable robots to read a person’s temperature or detect a fever by a single touch.